If you don't understand what happens, when I click "Eliminar", in the installed menu, some powder toys pop up. And if I delete them, nothing happens. Not even file delition. Tried to reinstall the gnome-software package, but nothing. 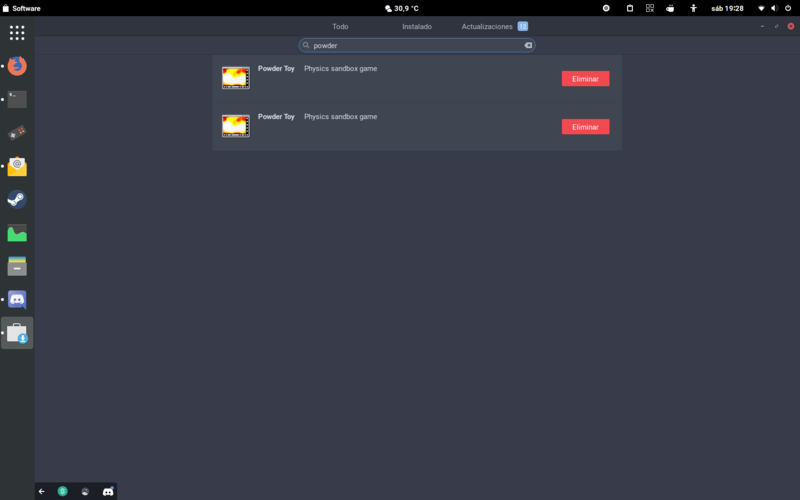 Is this a problem with gnome-software, the powder64 app, both or just my OS'? 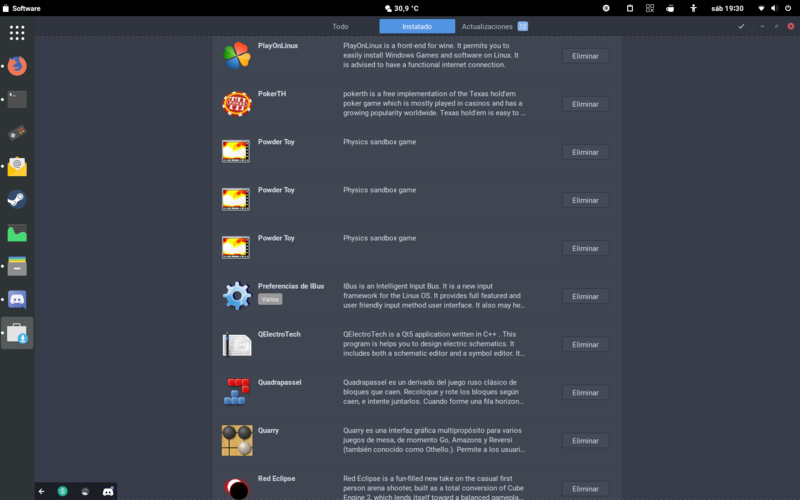 Browse other questions tagged gnome software-center software-sources software-uninstall or ask your own question.